HomeUncategorized Top 10 Books That Can Help a Girl Become President! 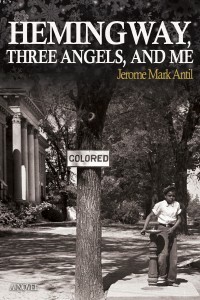 The novel follows the story of a young boy witnessing the reality of Jim Crow laws in the South for the first time. The protagonist then enlists his friends, family members, and neighbors to help Anna Kristina, one victim of that prejudice. 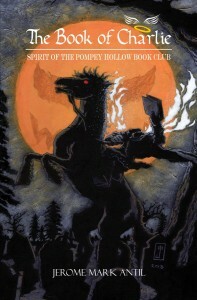 The main character Jerry’s 1953 trip to the South at the beginning of the novel expands his world view, opens his mind to other cultures, and causes him to mature. At the end of the novel, he is still the same likable, honest, kind Jerry, but he is also more committed than ever to helping other people. Publisher Little York Books recently asked living protagonists in a Post WWII (Pompey Hollow) novel series to select books from or about their youth – books which raise a standard and might collectively inspire young women of today the same good example in themes like valor, tolerance, courage, leadership, self-confidence, humor, family, overcoming obstacles, respect for mankind, common sense, passion, and a can-do spirit. Jerome Mark Antil is the seventh child of a seventh son – of a seventh son. Born at sunrise it’s been told by Mary Holman Antil and Michael C. Antil Sr., that he was the first of eight siblings to stay awake all day and sleep through the night from the moment he was born. “I remember the Pearl Harbor attack announced on our Zenith radio before I could walk. I heard Edward R. Murrow reporting the War from London…and the scratchy battle-weary ship-to-shore Morse code messages on radio while my diaper was being changed”. 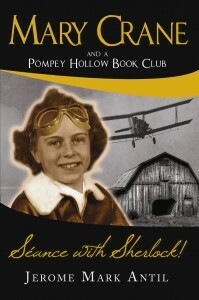 Heartfelt fare of family and friendship – light-hearted nostalgia from the 1940s and 1950s are his favorite subjects. He revels at capturing in good detail what it was like being a kid living in a world at War and its long shadows. 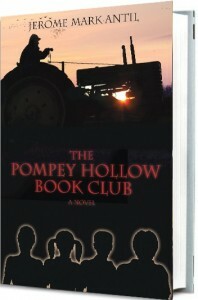 When the War ended, he grew up in Delphi Falls, which provided the setting for The Pompey Hollow Book Club and The Book of Charlie. As an adult Jerry worked as a proof reader and printer’s liaison, he later wrote and produced industrial sales and training films. An accomplished writer for public relations and advertising agencies, he would become Chief Marketing Officer for several prominent U.S. companies.